Ilkay Gundogan has revealed that he is enjoying life at his at new club Manchester City, under the management of Pep Guardiola. 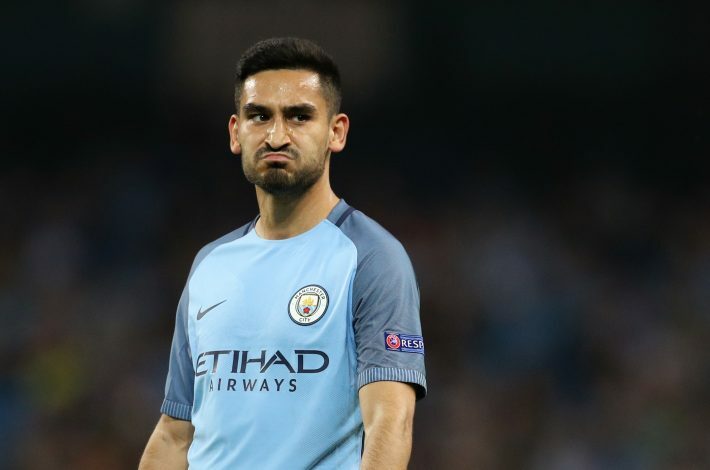 Gundogan left Borussia Dortmund for Manchester City in the summer of 2016, joining the Citizens for £20 million, and becoming Guardiola’s first signing at the Etihad Club in the process. The German has already opened his scoring account in England, by bagging one goal in the two appearances he has made for City in the Premier League. Moreover, his impressive performances have also secured him an international call-up to the German squad for the upcoming World Cup qualifiers. The 25-year-old seems to be enjoying his life at his new club, and that is precisely what he revealed in a recent interview with The Telegraph. Speaking about his relationship with Pep, Gundogan stated: “We have a very good relationship and I just try to learn from him and he just tries to teach me and show me how I can improve and do better. I think we are both enjoying it. “I knew his style of football before at Barcelona and also at Bayern Munich because I played against them. So I was quite sure it fits to my style very well. I just have really more fun than ever to be on the field, to play and enjoy this football – the passing, the possession, to keep the ball and if we lose it to take it back as soon as possible. Ilkay also revealed the reason behind his decision to join Manchester City. Lastly, the Germany international addressed the rumours that previously linked him with a potential switch to City’s arch-rivals, Manchester United. “Two years ago, three years ago it was not the time. I had a contract at Dortmund and I was not thinking of leaving the club so it was not a discussion,” Gundogan concluded.